Nature Magnified: Green is the colour of water! Green is the colour of water! 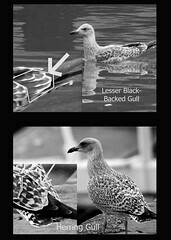 I took these pictures of a juvenile Lesser Black backed gulland I was astonished at the colour of the water. Not sure if it is the algae or the reflection of the trees, I guess it is a combination of both! 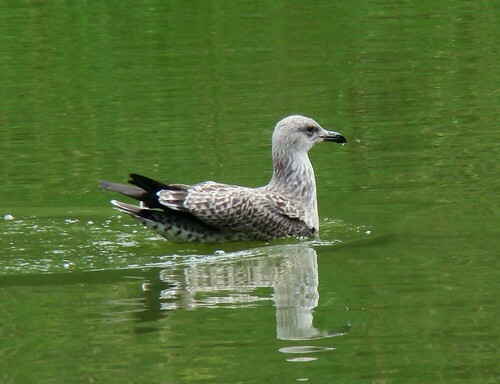 anyway, Graeme on Flickr, has created this comparison between juvenile black backed gulls and Herring gulls. 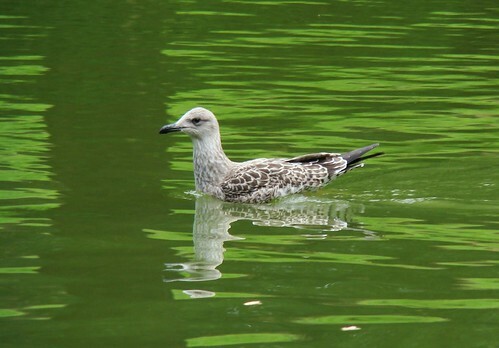 He says that the neat pattern of the innermost secondaries (tertials) differentiates the herring gull from the former.